With a career background in sales and senior management in the food sector, Jason retired in 2015 to concentrate on local politics. He has a strong sense of public service, having served as a District Councillor in St Ives for 16 years, and spent the last five years as Leader of Huntingdonshire District Council. He also served as Mayor of St Ives in 2005. 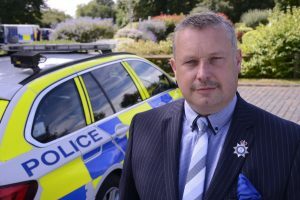 Until recently, Jason was chair of the Police and Crime Panel for Cambridgeshire and Peterborough.